Despite the myriad new ways we can now communicate with each other online, email is still relevant and often used. Without a doubt, it has been considered a core function of smartphones for many years. The early iPhone versions had the default Mail app that was a decent app but basic nonetheless. If you didn’t want to use Mail you wouldn’t have been able to access your email. Furthermore, there was no way to delete it and no alternative option. 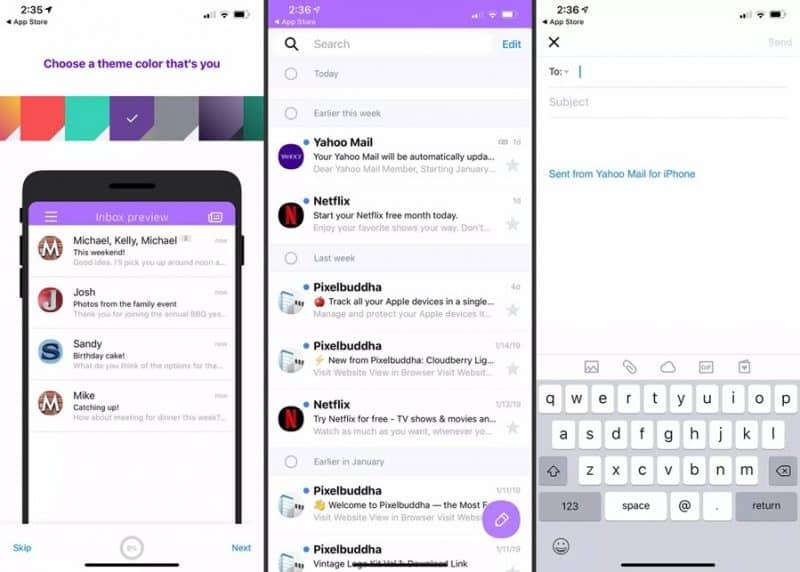 Of course, the Mail app as well as the iPhone have evolved significantly since then but the best part is you can delete it if you want and also use an alternative email application from the many choices available in the App Store. 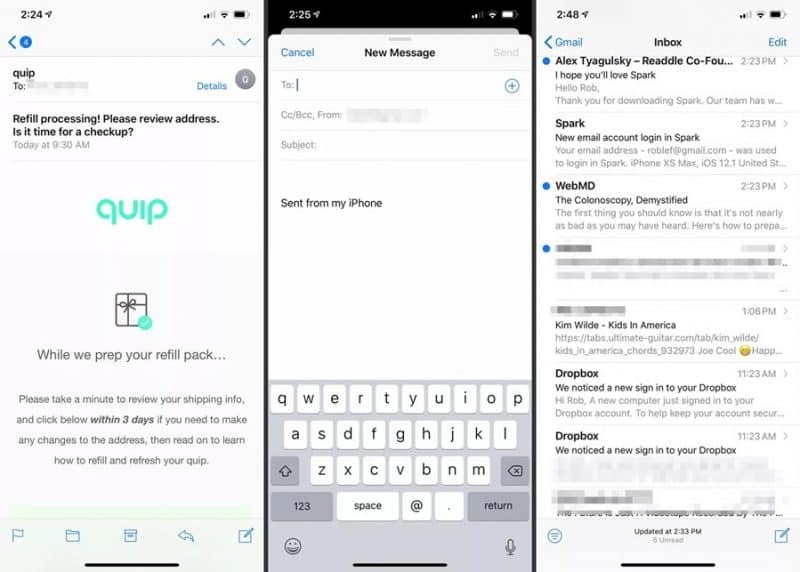 The fact there are so many alternatives to iPhone’s Mail app can make it difficult to pick a winner which is why we’ve already compiled a list with the best email apps for iPhone you should take a look at. Let’s start with the iOS Mail app just because this needs to get out of the way. 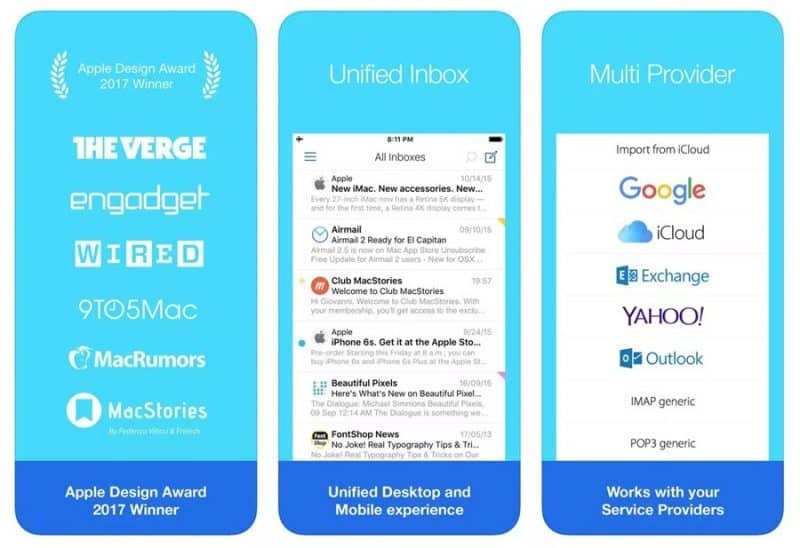 Before you dismiss it, you should know that iOS Mail is a simple and easy to use app that’s focused on productivity. It may not have the most extensive list of features but it does cover most needs and has practical functions like sorting custom VIP senders, store emails in folders, easy compose and many others. It’s also worth mentioning that iOS Mail offers support for Exchange, IMAP, and POP. Should you decide you don’t like it, you can delete it which actually means it will just become invisible but it will still be installed on your iPhone and you can restore it with ease. 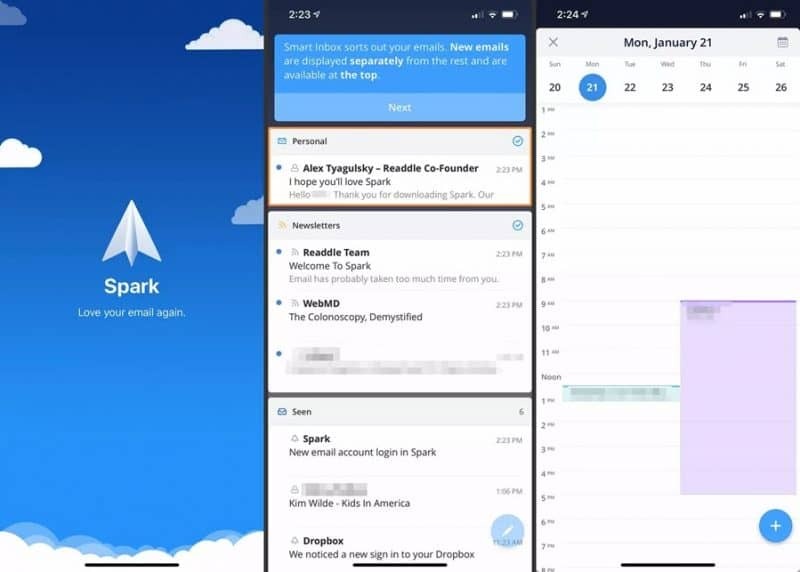 Spark is a highly intuitive email app that lets you easily select and switch between signatures although the list of interesting features is a lot longer. The inbox is automatically grouped by category and you can reply with just one tap. 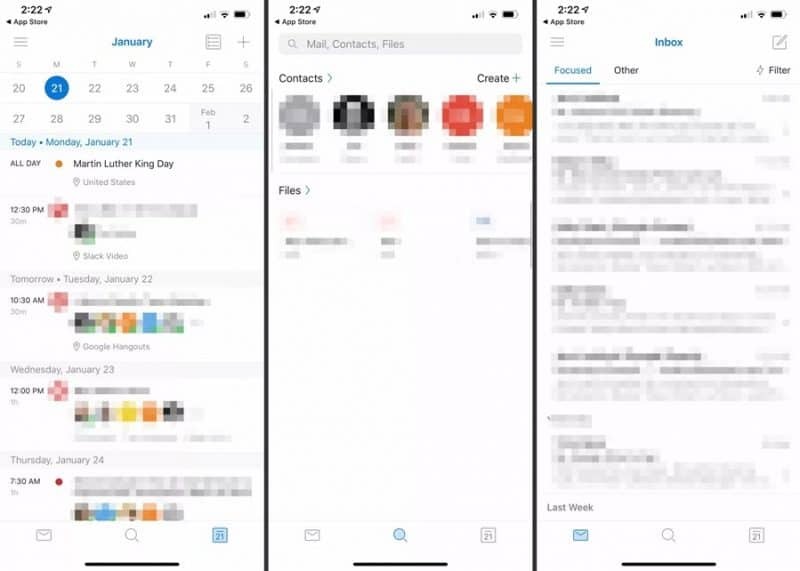 Among other practical features, you’ll find swiping actions, email snooze, search results that can be saved as smart folders, calendar integration, and the list goes on. 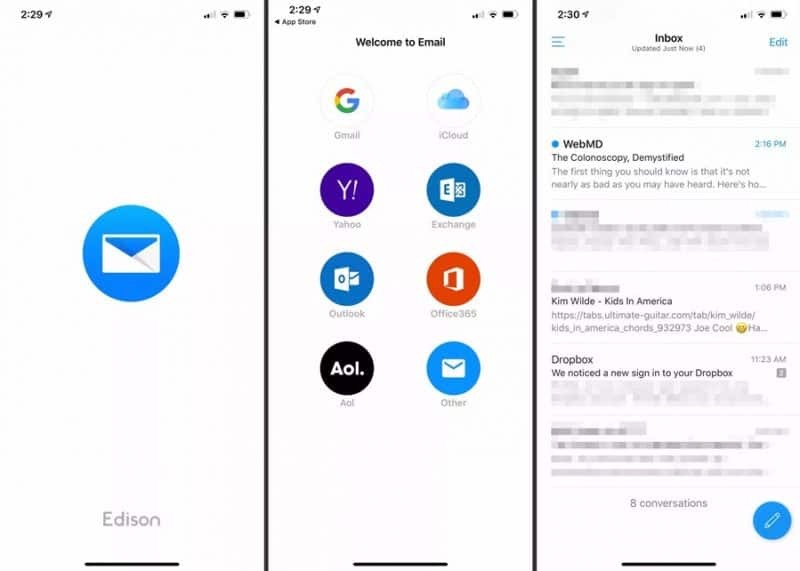 When it comes to speed, Outlook for iOS is definitely among the most responsive email apps for iPhone. Search results are almost instant, important emails are displayed first and you can quickly postpone emails with swipe gestures. The app also includes a calendar and there are various add-ons you can use to add extra features. 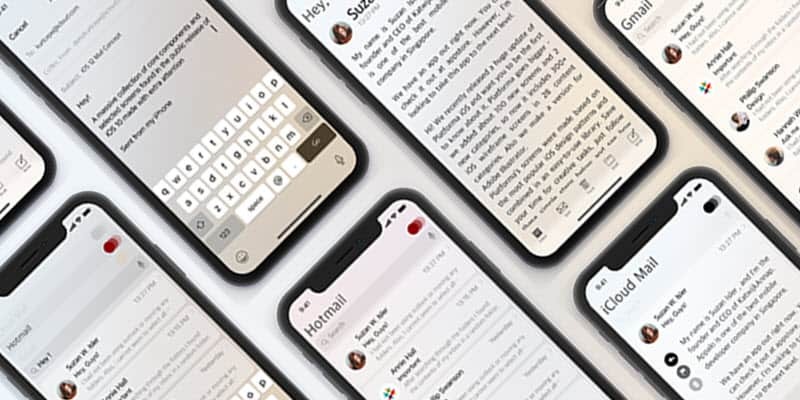 Polymail is an email app focused on productivity so among the features you will find message templates, email tracking, and scheduling deliveries among others. Some features are available only for subscribers but the ones everyone is able to access include email postponing, a custom actions menu, and IMAP support. Edison Mail is an excellent email app that has a few assistant-like features such as suggesting recipients based on frequency and email filtering by type. Of course, there are other useful features such as blocking read receipts for marketing emails and newsletters, snoozing, undo send, Exchange and IMAP support, and bulk delete/unsubscribe. Yahoo! Mail is not exclusive to Yahoo’s email service like its name might suggest, it also supports others such as Gmail, Outlook, and AOL. If you’re looking for a simple and friendly email app this one makes a great choice. You can star items, filter your inbox by category, as well as support for a wide range of email attachments. Airmail is a wonderful app that’s stuffed with productivity features like turning emails into to-do tasks or add them to the calendar, scheduling emails, blocking senders, undo send, snooze, add files from cloud storage as attachments, Touch ID support and much more. There are plenty other useful features and settings to customize. It might take some time but having Airmail configured to your needs will surely be worth it. Support for IMAP and POP is also included.